I am currently coming out of the cloud of travel. This week has been about getting home and getting settled again. After almost 2 weeks away from home between NYC and Copenhagen, I am starting to begin to feel settled enough to write some things here today. 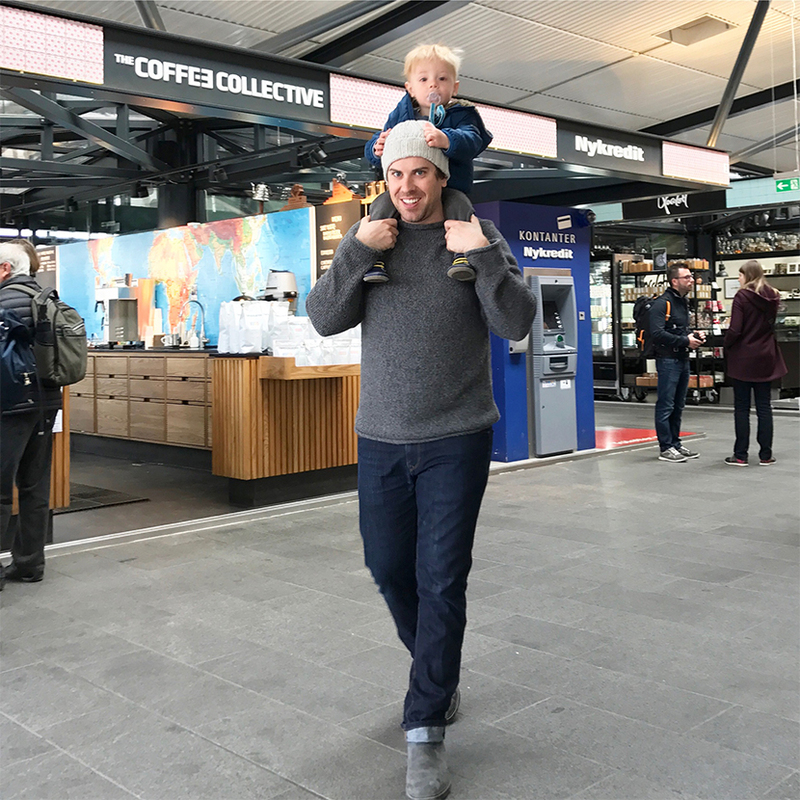 Traveling with a toddler is an interesting adventure, but one as many have told me, is well worth it! 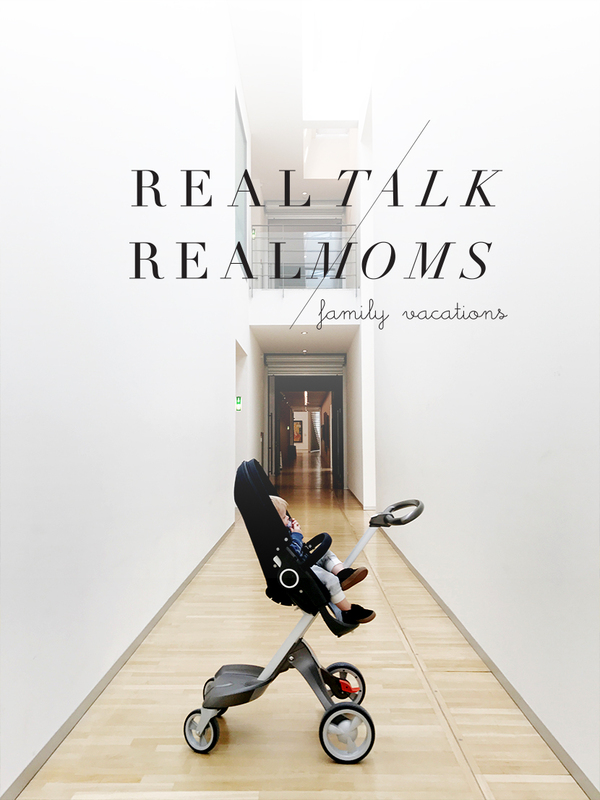 Today, in the Real Talk Real Moms series we are all discussing what it means to vacation and travel with kids. I felt this topic was great for us this month since we would just be coming back from our trip. I am still trying to gather my thoughts about the trip so I can share more about it next week, I am excited to share about how this trip went for us as parents. 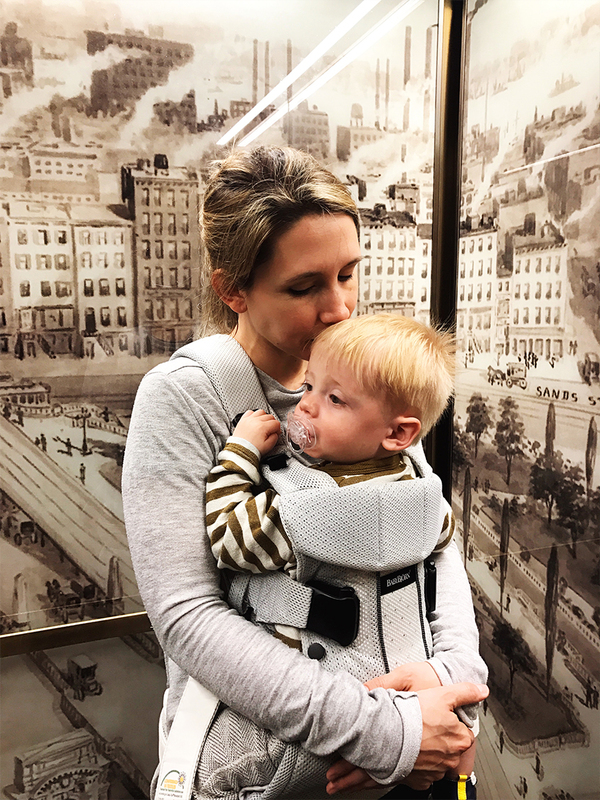 Along the way, on our trip I noted some of the things that really made this possible for us so I could help inspire and empower other parents to take on the challenge of traveling with their toddler. I am sure many of you are gearing up for summer travel or wondering how are you going to tackle a family trip with little ones whether a short drive away or half-way across the world. We felt like the idea of this trip was very daunting with a very active kid who is independent and strong willed. So, I understand your worries and fears, thus why I am so excited about this topic this month in this series. You can find all of the other posts from the other moms in the series at the very bottom of the post. Before I give tips on what I felt really made a difference for our trip, I thought I would share how the trip went with Hayes. To put it lightly it went surprisingly well, which is still a shock to me. I had nightmares of him screaming and throwing tantrums for a whole flight but worked to try to find hope it might not go that way. Sure enough, the trip went smoother than anticipated. Obviously, it wasn’t perfect though. 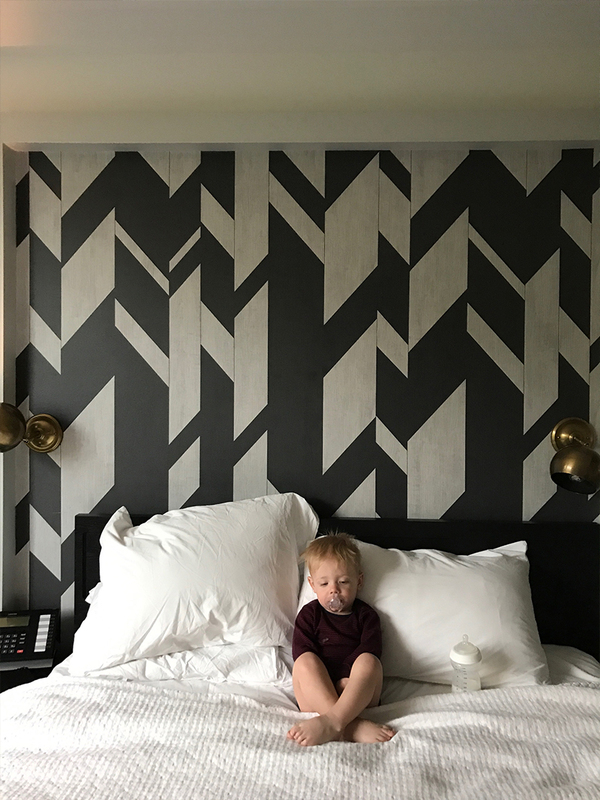 We lost quite a bit of sleep and some days were crankier than others, but by the end of our trip, I felt I understood what really helped and felt far more relaxed parenting on a trip. I will give you a good recap of our trip so you know how it really went. To begin our trip, we flew into NYC to stay one night in order to break up the trip. On the way to board our plane, our friend we planned to stay with ended up having a sick kid and since we were about to head abroad we decided to not stay together because we had recently gotten over 2 colds in one month with Hayes, so we decided to find a hotel for the night. When we landed in NYC, we hunted for a hotel on Hotel Tonight while at the airport. We were looking for a room that would accommodate placing Hayes in a bathroom to sleep that night (darkest room) and that had blackout shades in the room since it is never dark in the city. We found a place in Brooklyn halfway between LGA and JFK (where we would fly out the next evening). When we got there his bed barely fit in the bathroom and we couldn’t close the door so it wasn’t what we had hoped, but it worked out just fine. That night he slept through the night just fine. Mike and I stayed quiet and worked in the dark early in the evening before heading to bed early. It worked ended up working out somehow. The next day our flight left around 10:00 PM so we requested a late checkout so we could stay there as long as possible. This way Hayes could get two naps in his bed instead of on me. He ended up waking from his 2nd nap much earlier than I hoped so I knew I would need to get him to nap one more time between the nap and boarding/bedtime. He was exhausted and fought it in the airport, but eventually passed out for an hour. I was glad we got him the nap since there was a meal service on the plane that made it bright on the aircraft for about 2 hours and made it hard to think about getting him to sleep. Finally, the lights went out and Mike’s mom and I prepped him for bed with his typical routine with key words, a stuffed animal he loves, and his sleep sack. We put on his wave machine and within about 20 minutes he found a groove and passed out in his seat till we landed in Copenhagen. He then slept in my arms for another hour through customs. It was hard and exhausting on me because I didn’t get much sleep worrying he would roll off the seat or being kicked by him, BUT he slept the whole way, which still shocks me. 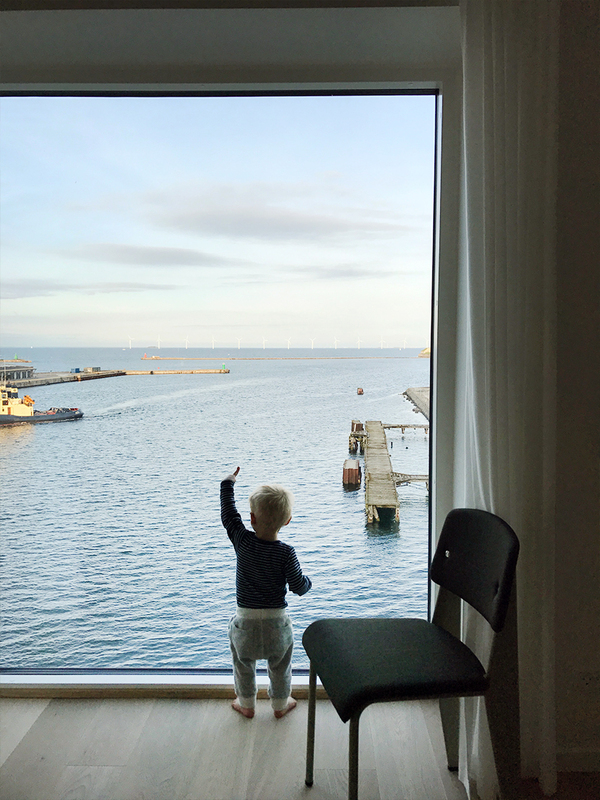 The first day and night at our apartment in Copenhagen were a little tough. He was very tired and so were we when we got settled and ready for bed that first night. He was unsure of where he was, and wanted to be with me a lot. It all made sense. This was when I was glad we had brought his own travel bed since we were in so many different places during this trip. During our 6 days, we struggled on and off with him being confused about time. He took weird naps was cranky and was picky about eating. In all honesty the first few days I was anxious and stressed, but after a few days I ended up relaxing. I realized it was only 6 days so it was best if I just let be what it will be. I realized he did better doing a schedule of 10PM – 10 AM than doing an earlier bedtime like he does at home. The moment I threw out the expectation and rigid schedule the happier everyone was. It all ended up working out somehow and we all got relatively good sleep. There were a few nights he was in our bed, but for the most part after some fights he would go to sleep in his crib just fine through the night. In order to get out and about, we would let him nap in the mornings at our place. We would lie low around the apartment and then in the afternoons we would go out, get lunch and dinner and enjoy time touring the city. Thankfully Copenhagen has light very late this time of year and so getting out in the afternoon was actually a great idea. We found that doing more than one big activity a day was too much for him. 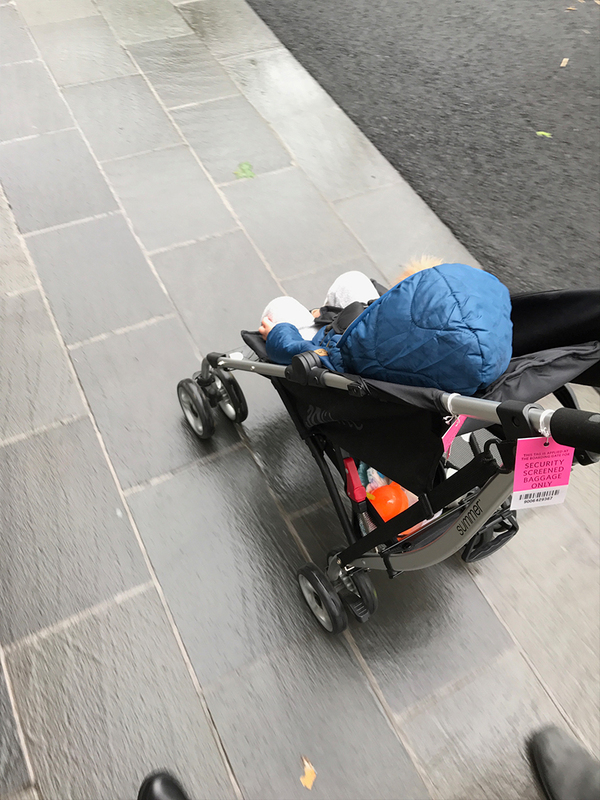 Most of the time we would do a kid friendly activity and then he would nap in the carrier or stroller for his second nap, while we would go to a bar or a museum. It worked out far better than I anticipated. We chose gardens and zoos for him the most since the weather was good enough. On our flight back to NYC we knew it was going to be a little tough, so we kept him up later the night before our flight so he would wake up later. Our flight left at 5PM the next day CPH time and we had 8.5 hours to get back to NYC landing at 8PM EST…pretty intense change for a little guy. So I wanted to get him 1-2 naps on the plane since it wouldn’t be his bedtime exactly till about the time we landed. It ended up working relatively well. He did great considering that by the time we got to the apartment in Brooklyn, it was almost 3 AM CPH time. He passed out in the taxi on the way to our apartment. When we got into the Airbnb, I laid him down on my in-law’s bed and got him ready for bed (fast asleep the whole time) and laid him in his bed. He ended up waking up at about 3 AM EST (which I figured he would) and we transfered him to our bed as I think he was confused by where he was and I wanted to create reassurance for him. He slept with us till about 5 AM and then we woke up for the day. Each day we pushed him just slightly and by the time we got home he was back on schedule going to bed around 7:30/8 PM at night. The long layover in NYC ended up being a great way to get him back on schedule before we got home. By the time we got home he was happy to get to his own bed and he jumped right back into routine. Though sleep wasn’t always perfect and sometimes there was more crying than there ever would be at home, it worked somehow. The thing that shocked me the most was how well the flights went. I never imagined that! I expected far more crying. The flight back was far harder than the one going, but I know that was simply because of the time of day we flew, but it ultimately ended up putting us on schedule. All in all, I would say the trip went far better than I ever expected it to. 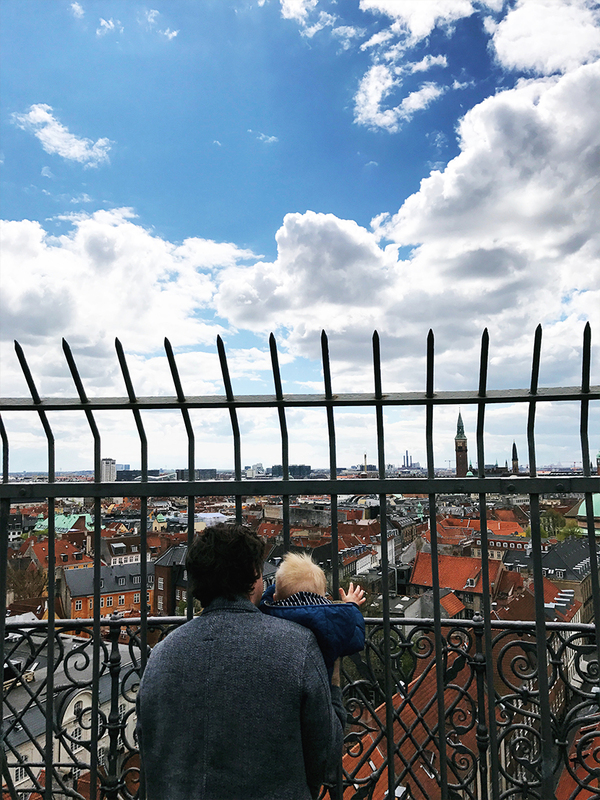 Copenhagen was an amazing place to travel with Hayes, but I will cover that next week in our posts about our trip. My hope is that hearing how it went for us will inspire some of you to take the leap of taking your little ones abroad. I honestly think that traveling between 1 and 2 is a great time and I would highly suggest it. We laughed so hard so many days watching him learn new things and explore a new place. It was beautiful and wonderful and far outweighed our sleepiness every day. I also felt like I walked away a far more relaxed parent after the trip, which was something I never expected. This was absolutely what made this work. Our flight from NYC to Michigan was at an awkward time and it was almost harder in some ways than our long flights to Europe. Knowing when you kid sleeps will help you book tickets at great times for them. Just stick to their sleep routines as much as possible. Having keywords and so on will make the process smoother. For instance, we always say “night, night” when we put Hayes to bed so we said night night to everyone with us and even some strangers. It was a good way to indicate the kind of sleep he was going to take. Having things that indicate sleep are important to maintaining a routine for them when everything else is changing around them. I tried so hard to get him on his typical 7:30/8 pm bedtime and it was more of a headache than anything else. I ended up just relaxing and going back to how long of an awake time he needed and watching his cues for sleep. I found he tired more easily when we traveled so he couldn’t ever push beyond 3.5 hours awake. So I made sure to keep an eye on him getting overtired, but I also just rolled with it if he woke up at 2 AM and wanted to be with us or took a nap too early or late. I figured it wasn’t a long time we would be traveling. If he woke up in the middle of the night, we kept stimulation low and would pull him into bed, cuddled, read books, kept the lights off or low, talked about sleep, and then when he started getting sleep again we would put him back in bed. Typically he would then sleep till 9 or 10 AM. I just stopped making a big deal out of it all like I might at home. It helped me be more relaxed and for him to just do what he needed when he needed to. After all, it is a short time, so why fight everything when you are there to enjoy. I know it is hard to predict but we literally scheduled this trip after he had a recent mental leap. He was both sick, teething, and leaping all at once during the month of April. A week before we left he had all new skills and spent the whole trip enjoying practicing them. He was so happy and healthy the whole time we were traveling and I know being in between major developmental times in his life was a key to this trip being enjoyable at this age. 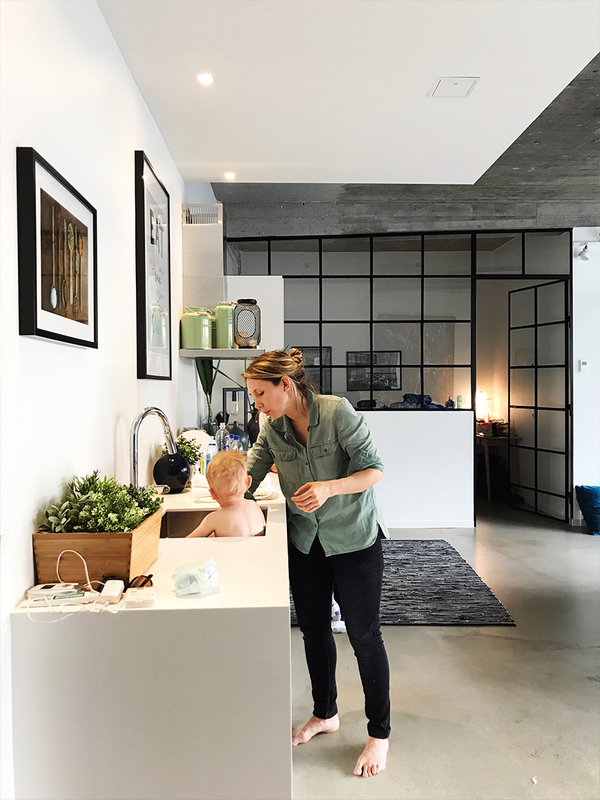 We rented three very family-friendly apartments in Copenhagen and Brooklyn. We used Airbnb and Booking.com for the trip and couldn’t have been happier. 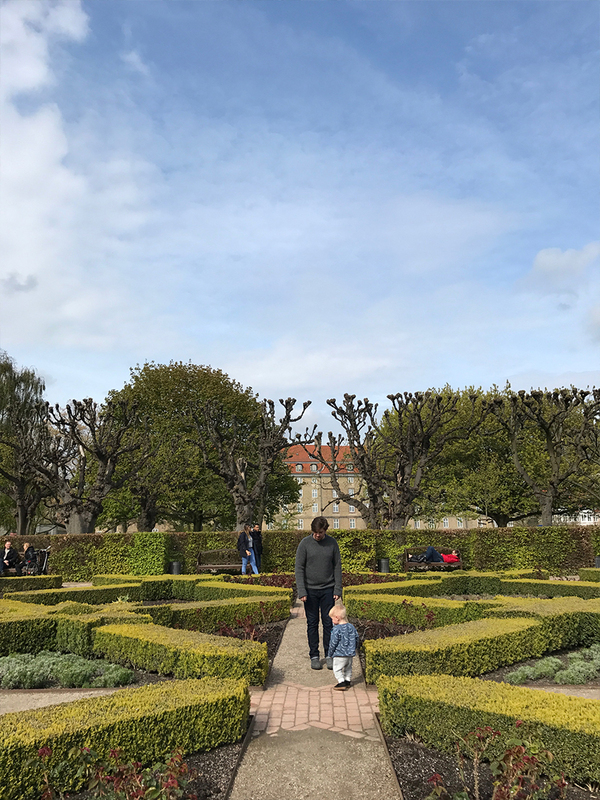 Our first apartment in Copenhagen was right on the river so we had a wonderful place to walk with Hayes and a wonderful window into the life of the city in the evenings when we were doing dinner or relaxing at home after Hayes had gone to bed. There was a dedicated room for him in the apartment and they had a high chair for him as well. The other place was a newer place on the water and we loved it because there was a large bathroom we could use for a dark space for him the one night we were there. Plus, the place was roomy and offered lots of space for him to run wild. Our place in Brooklyn was a family home so they had a dedicated room for him as well. All the apartments had a place to wash clothes and a kitchen so we could have meals at the apartment very easily with Hayes. The smartest thing I think we did was break up the travel. Since we have a long way to go from Northern Michigan to Copenhagen in terms of flights and driving, we decided to break up our trip by flying from Grand Rapids to NYC, having 36 hours to rest and reset before we jumped on our direct from NYC to Copenhagen. Then we did the same on the way back. This way we could rest, enjoy the places we laid over in, and we could make the most of our trip. That said, if you have a long way to travel, think of ways to break it up for your little one and you. Pack accordingly so you don’t have to fully unpack and repack every time, and make the most out of your time in multiple places. This was the thing that made our trip work. We would choose one major thing to do each day. We knew our days of just mindlessly wandering cities was long gone. So, we chose to do it with a plan and with intention. We asked ourselves and Mike’s parents what we each wanted to do on the trip. Once we knew this about everyone we made a plan of attack based upon weather and more. It worked out great! 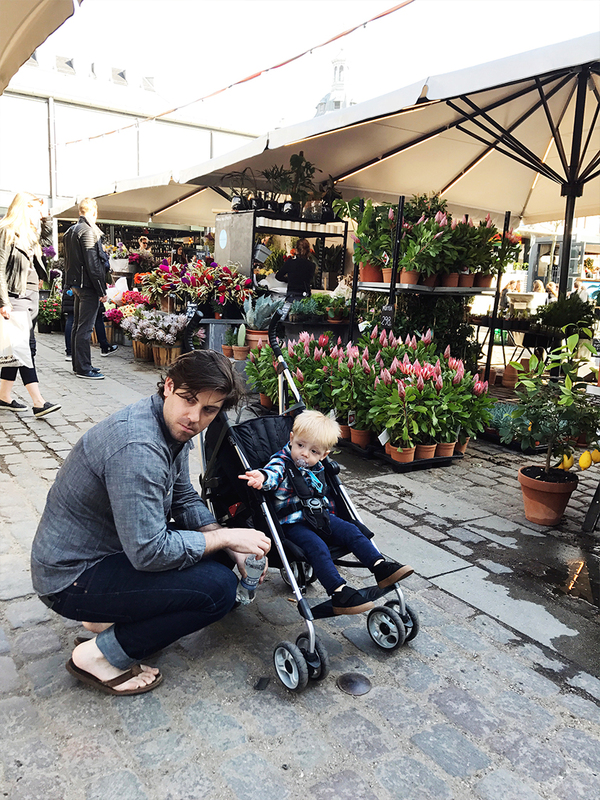 We all got to see and experience the city the way we wanted to while also letting Hayes get sleep and rest along the way. We didn’t see everything but we got to see all the things we wanted to. I will note back to this post. 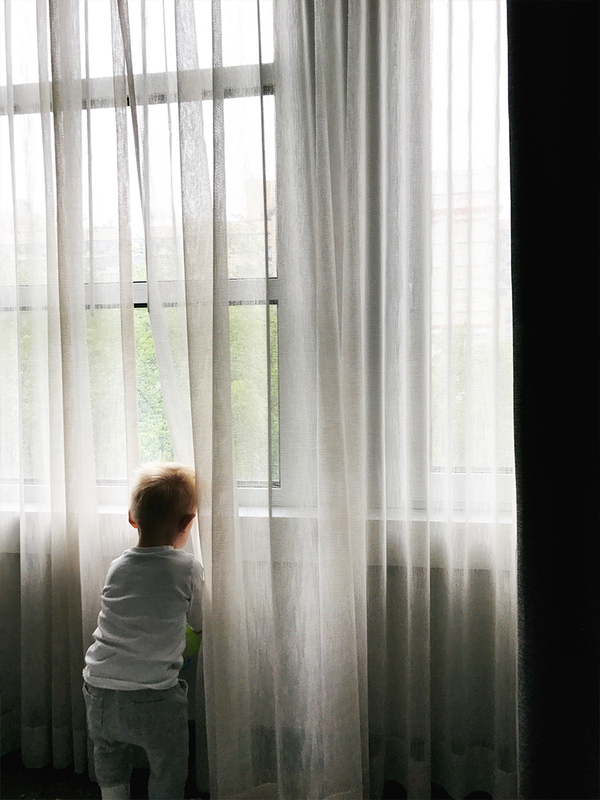 When we were planning our days, we tried to choose moments that allowed Hayes to be a kid. 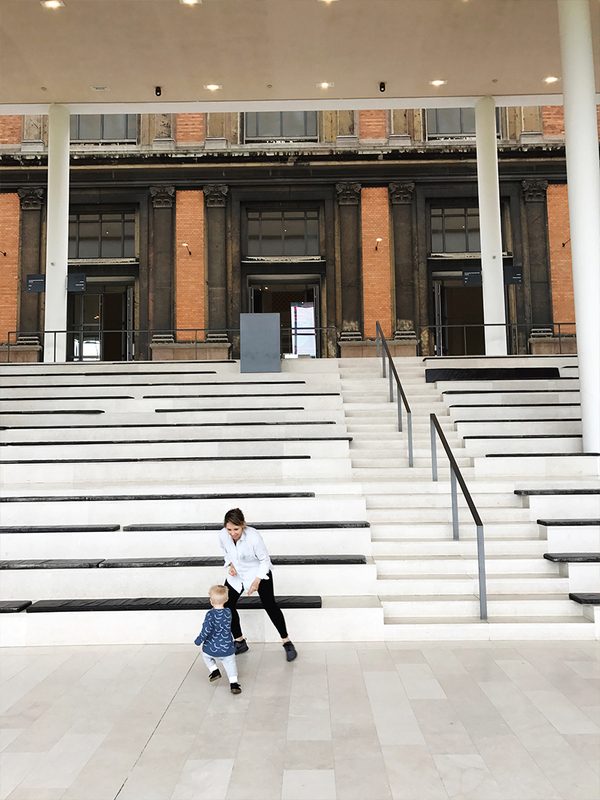 For instance, if someone wanted to visit a museum we would also find a place he could run around and explore. If we were walking through the city a lot, we would stop in a park so he could run around for a while through the park safely. These things helped burn his energy off and get out the wiggles so he could enjoy the things we had planned for the day. The best way to enjoy a moment is to not place expectations on it. Remember the things that matter most: everyone enjoys the trip and you stay rested and fed. Whatever happens in between those things is totally fine. 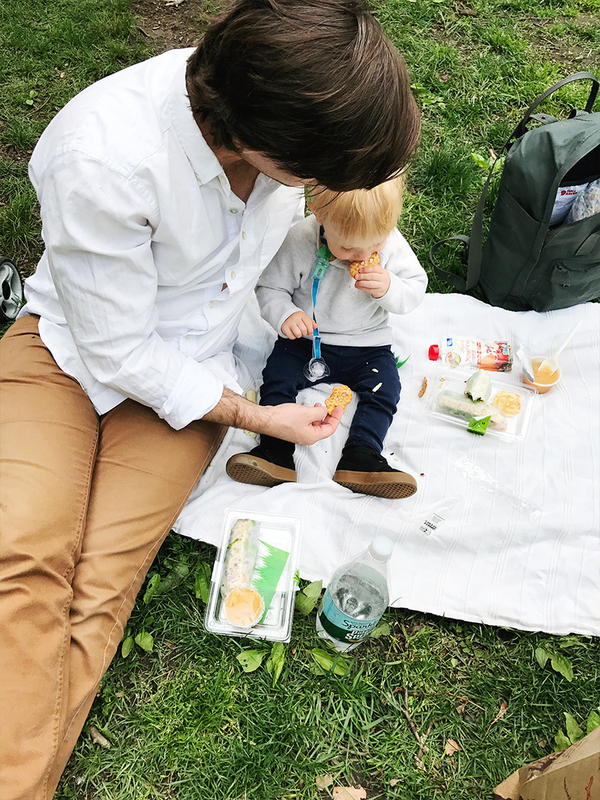 I think it is easy to get caught up in creating perfect moments and thinking we need to get our kid on a schedule. Instead just have fun and enjoy the ride of the trip. There is a lot to experience that can be missed by high expectations. The biggest difference in our trip was the fact Hayes had his own seat. I don’t know how I would have survived if he hadn’t had room to lay down and sleep the way he wanted. Our flight back to Michigan from NYC we didn’t have a seat and I missed it. I think on long flights over 3 hours I would suggest getting your child their own seat if they are over 10 months and active. I know it costs more, but this is where using a reward credit card paid off for us, we could get his seat for free through our points we have built up over the years. Seriously, I cannot explain how often this came in handy. On the plane, he wasn’t into the meals at all (do you blame him?) so having mobile food that got him full was important. Thankfully Denmark caters to kids so there were always wonderful options in terms of snacks. He is teething so he loves pretzel rods right now as he gets his molars in. Things like that helped make the trip more enjoyable for everyone. I will admit we let him watch TV for almost 3 hours on the plane on the way back and again on our drive back to Traverse City from Grand Rapids. It was how we survived those moments and I don’t feel bad about it. We did what we needed to to make the trip enjoyable for us all. I learned it is okay to break routine during these moments especially at this age. Bouncing back to your old rules and standards is far easier when they are little. He has no idea we no longer watch as much tv, but it got us through a few tough moments in our trip. Those moments without having that option may have been total meltdowns, but instead were kept far milder. 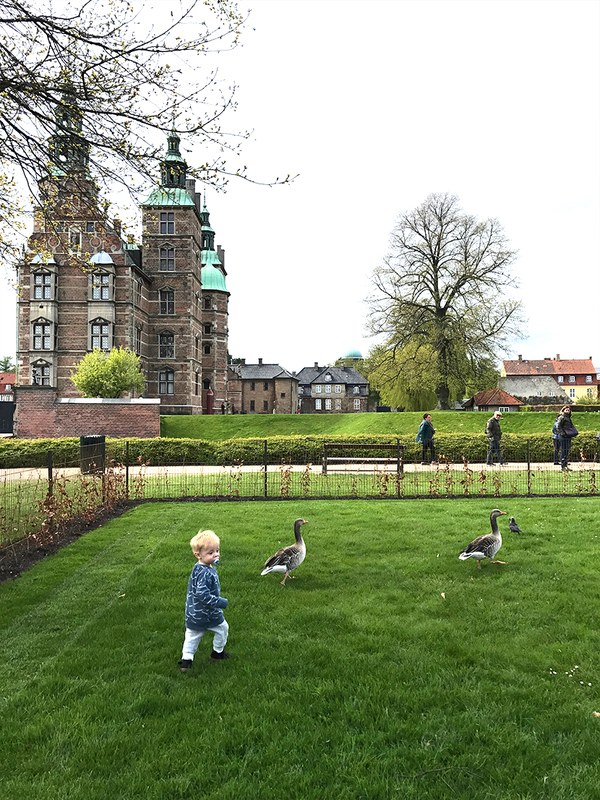 I know it may sound daunting to think about taking a trip abroad with an active toddler, but I found after this trip that it is far easier than it seems. I found this trip more enjoyable than some of my previous plane trips with him. Sure we came home a little tired and had achy backs from bad sleep positions, but we made some amazing memories as a family we cannot wait to share with Hayes one day. We broke the routine and discovered that kids are super resilient and capable of changing, shifting, and adapting maybe better than we are. My husband and i are expecting our first little one in july of this year, your posts about traveling with baby / toddler are very inspiring and give me great hope we won’t have to give up our favorite pastime. these articles are invaluable to me as that was /is one area i don’t want to give up entirely. especially since the majority of my husband’s family lives in colorado, and we are in wny. i’m totally inspired and hopeful! thank you! Definitely going to be bookmarking this blog for the future. My son is just about 7 months and this weekend we’re taking our first trip about 4 hours north to Lake Superior. I’m really curious about how this will go. Have you guys hear about Kid & coe? It’s airbnb specifically for family friendly houses. I’m hoping to use it someday, because some of the houses look ? I wanted to say thank you SO much for this post! 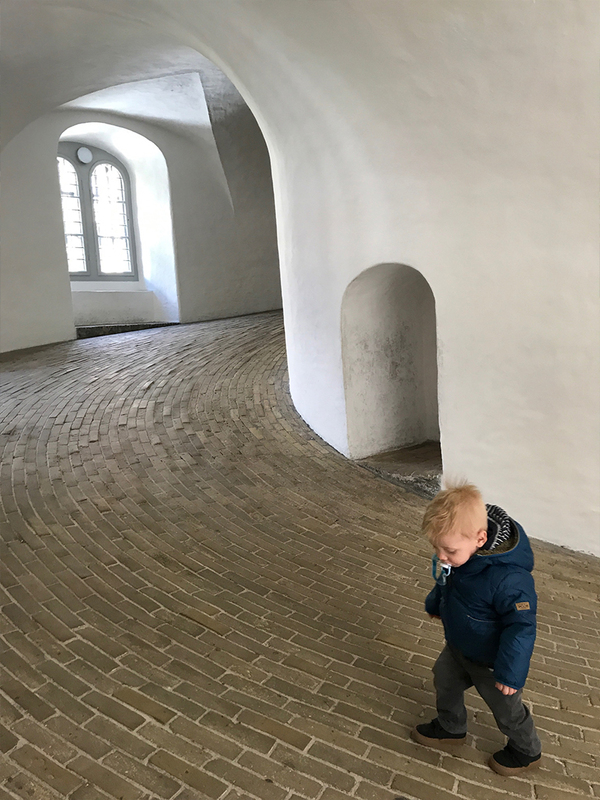 We just booked a trip to copenhagen in march with our toddler (he’ll be 20 months when we go) and all of these posts are incredibly helpful in preparing and giving ideas for what to do. i really appreciate how thorough they are. i just flew alone from vancouver to toronto (5 hours) with him at 14 months and i was SOOOOO afraid of it but he had his own seat and i brought a car seat and it was actually great. for copenhagen we’ve planned a 2 day stopover in iceland on the way to break it up coming from vancouver and again bought him his own seat. we’re also bringing my husband’s best friend as some extra help 😉 thank you again!